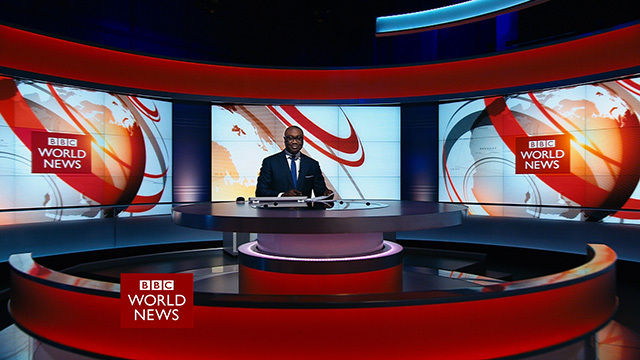 The BBC has announced the names of the six talented people from Black, Asian and Minority Ethnic backgrounds (BAME) recruited for its ‘Senior Leadership Development Programme’. The scheme, in association with the Clore Leadership Programme, is a key element of plans designed to ensure the BBC represents all communities in modern Britain and the aim is to encourage those selected to consider and apply for careers as senior leaders in the broadcast industry. · Tim Pemberton, Managing Editor of BBC Radio Bristol. · Serra Tezisler, former HR Business Partner for Ricoh. · Nelson Abbey, who has extensive experience in the financial sector and is a columnist for The Voice newspaper. · Dr Rob Berkeley, former Director of the Runnymede Trust. · Marcelle Moncrieffe-Johnson, BBC Head of HR Support. · Ade Adeluwoye, former Head of Brand for Coca-Cola at marketing agency Zone. The successful candidates, chosen from more than 300 applicants, have a proven track record in leading teams and projects in a variety of organisations and will undertake a 12-month training programme alongside one of the BBC’s board members, including Director-General Tony Hall and James Purnell, Director of Strategy and Digital. As well as being involved in the running of the BBC at the highest level they will also be trained by the Clore Leadership Programme, the UK’s pioneering leadership development initiative for the cultural and creative sectors. It has also been announced today that Nelson Abbey and Ade Adeluwoye will receive Clore Fellowships while the other four scheme participants will attend Clore residential leadership courses. All six recently took up their placements right at the very top of the BBC alongside Director-General Tony Hall and Executive Board members. This announcement follows the recruitment of six ‘Commissioners of the Future’ in February 2015. They will be embedded in entertainment, comedy, factual, daytime, children’s programming and across BBC Two and BBC Four for a 12-month traineeship as part of the Assistant Commissioner Development Programme. Tim has been a Managing Editor at the BBC for over 12 years. His BBC career started as production trainee in the West Midlands at BBC Pebble Mill before working as a producer at BBC Radio Wales and Senior Producer in Religion & Ethics in Manchester. His most recent role has been as the Managing Editor of BBC Radio Bristol, where he led a team of 40 staff and actively promoted diversity in output and off-air. The station won the Gillard bronze award for Station of the year in 2011 and the Gillard gold award in 2009 for ‘My Bristol’. Tim was previously the Station Manager at BBC Radio Shropshire and editor of BBC 2002 the Commonwealth Games radio station. Serra was HR Business Partner at Ricoh for Europe, Middle East and Asia. Before that she worked as a Management Consultant for PA Consulting Group. She also worked in senior HR roles in the Ministry of Defence having started her career on the Civil Service Fast Stream where she held a number of prominent positions including UK Diplomat in the Foreign and Commonwealth Office. Serra is a chartered member of the CIPD. Nelson Abbey has worked in the business sector since 2005 and most recently was the Head of Regulatory Compliance (Europe excluding Jersey, Middle East and US) at Ashburton. He started his career as an Executive at PriceWaterhouseCoopers before joining Insight Investment as a Risk Adviser in November 2007 for two years. In March 2010 he spent six months working as a Regulatory Consultant at ICAP before joining BlackRock as an Institutional Sales and Portfolio Management Advisory Associate. Nelson is also a freelance journalist and columnist and has written a fortnightly column for The Voice newspaper since 2010. Rob was Director of race equality think tank the Runnymede Trust, between January 2009 and February 2014 and Deputy Director between 2005 and 2009. His doctoral studies at the University of Oxford focused on exclusion from school. He was awarded an MBE for services to equality in 2015 New Year Honours List. He is currently a trustee of the Baring Foundation and governor of a South London Pupil Referral Unit as well as being Managing Editor of Black Out UK magazine. He has previously been Chair of governors at a South London primary school, Chair of Naz Project London, a Trustee of Stonewall, and a member of the Commission on 2020 Public Services and a trustee of the Equality and Diversity Forum. Rob has also worked as the Executive Chair at the Black Gay Men’s Advisory Group, Assistant Policy Adviser for the General Teaching Council for England, Chair at Oxford Access Scheme and Co-ordinator for the Oxford Access Scheme. Marcelle has been the Head of HR (Support at Work) at the BBC since November 2013, where she led on the BBC’s response to the Respect at Work and Granger reports and also leads the Support at Work Service. Previously she was interim Head of HR at ARK Schools, where she was responsible for HR, learning development and recruitment, as well as heading up a team of 30 staff. Marcelle worked at the London Borough of Brent for just under six years progressing to Head of People Services and Deputy HR Director leading a team of 50 staff. Prior to this Marcelle was Head of Human Resources and Organisational Development at Harrow Primary Care Trust and has worked as International HR Manager for British Airways and Change Manager at Transport for London. Marcelle is currently studying for a Doctorate in Business Administration with the Edinburgh Business School. For her Doctorate Marcelle is focusing on change management which entails conducting research to understand how organisations successfully achieve transformational and sustainable change. Ade Adeluwoye was Head of Brand of the Coca-Cola portfolio at advertsing agency Zone, where he oversaw the digital marketing strategy in the UK for the Coca-Cola GB portfolio. He has a 10 year track record of leading the strategic development of high profile brands. Ade began his career as a Schedule Manager at ITV in February 1997 before moving to Universal Music Group International as their Head of Consumer Insight in June 1999. He joined the BBC as Head of Strategic Projects in July 2006 before working at BBC Radio 1, 1Xtra and BBC 5Live as Audience lead for four years. Between January 2011 and August 2012 he was the Lead Senior Planner at the BBC for the London Olympics.